Microsoft after unveiling special editions of the Xbox One X console at the Gamescom 2017 event has pulled listings of the original Xbox One console off their official website. The official page claims that all Xbox One consoles are sold out and going by the announcement made by the company, they may not be restocked because the manufacturer has some other future plans. The recently launched S console is slimmer, easier to setup in your home theater environment and also has some unique new features including the popular HDR support. It also has a range of redesigned controllers which will soon become the norm. 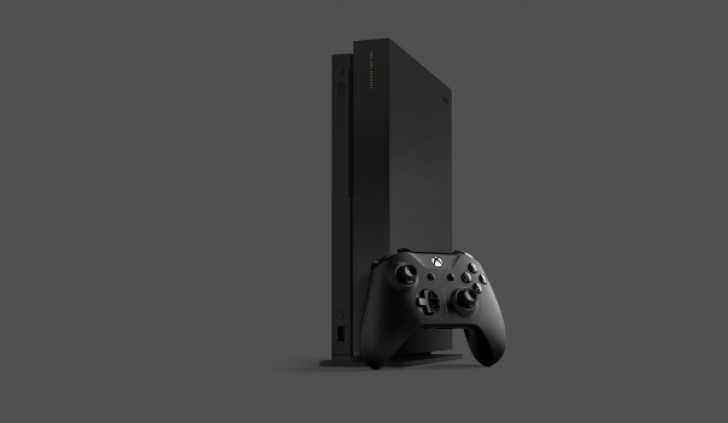 Besides, the company has also launched the Xbox One X 4K console which is quite expensive at $500 and will cater to the top of the line gamers who want nothing but the best experience. The original version of the Xbox One console was launched way back in 2013 and it is no surprise the hardware is being finally retired to pave way for newer ones. Gamers will no longer be able to buy new ones from the official seller. However, you do have the option to go for retailers like Gamestop and Amazon who may still have the system hanging out in their inventory. Besides, there is the option to go for the refurbished version of the older console if you like to but it doesn’t make much sense because the new S console is a much better pick in terms of slim looks, design and newer features. When it comes to the refurbished version of the hardware, it is usually cheaper but the problem is that you may not be able to claim warranty because it is not being sold by the original manufacturer. The pricing of these systems will be at least $80 or so less than the new edition. The Xbox One X console is obviously the future even though it looks very expensive at the moment, it won’t be long before 4K televisions become mandatory and leading to gaming on the highest resolution possible. In other news, it has been confirmed that Microsoft has witnessed the best pre-orders for their Xbox One X console and the Project Scorpio edition has been sold out in hours as soon as the pre-order opened. A lot of retailers had already commented that it was the fastest selling device in their history and they couldn’t have asked for more. It was a surprise considering the $500 price tag! Previous Previous post: Should you skip Samsung Galaxy Note 8 and wait for the Google Pixel 2 XL?